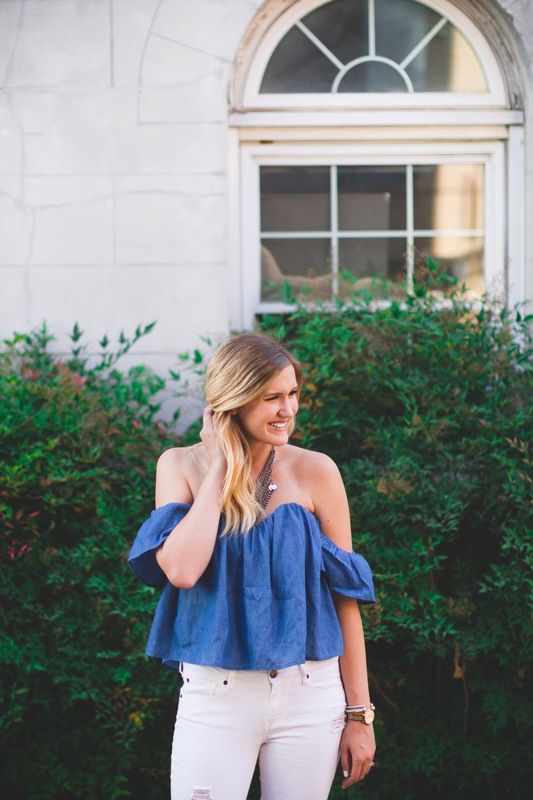 I swore against any more off the shoulder tops…I think I might have mentioned no more chambray as well, but i mean…who’s keeping count! 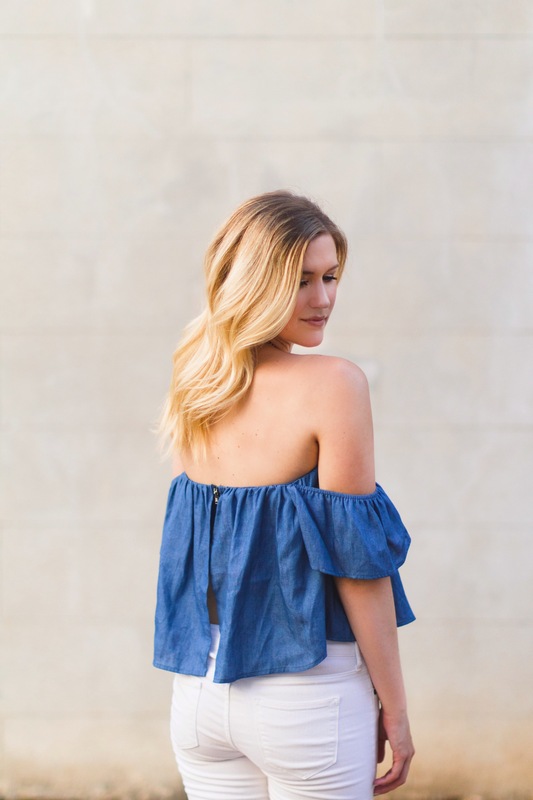 As much as I am ready for Fall, I couldn’t pass up this ADORABLE off-the-shoulder top! 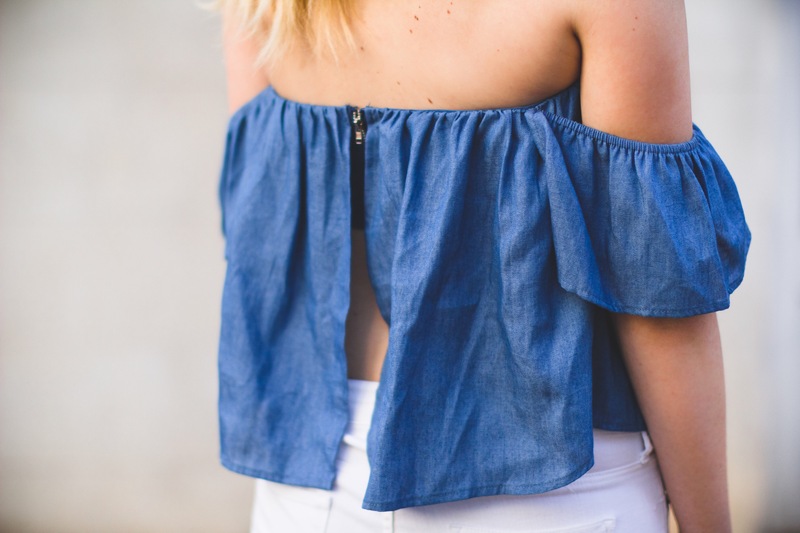 It generally has a strapless top feel, and a little bit of an open back. I think i have a slight fear of open backs because I’m a little too practical for it…I just gotta feel like I can indulge in Mexican at ANY moment. Also, the bra situation kind of gets out of control too. 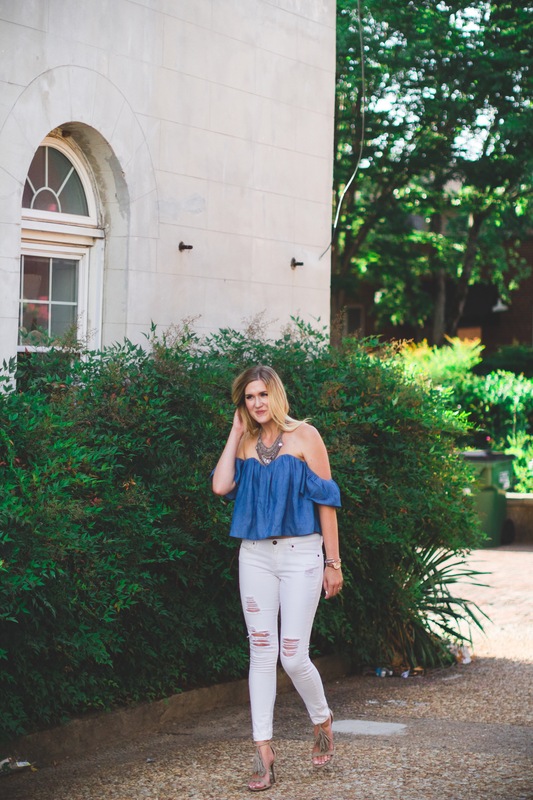 What I loved about this top was that even though it had an open back concept it still covered my bra in the back where the zipper was! Anything that looks fussy but is really manageable is a win in my book. The crop of this top was my FAVORITE! I’m 5’10” so finding anything that has a cropped look but won’t show my stomach is SO difficult. It fell just at the top my jeans making it easy to wear anywhere. Again with the practicality! It’s a curse, y’all! I’m planning on taking this top with me to the beach next week to pair with a bold maxi skirt and I am so excited about it’s versatility. Thanks for following along, loves!